The law office of William H. Curtis provides legal advocacy for personal injury cases to people in Mableton, Georgia and across the nearby region. William H. Curtis has worked on these types of lawsuits for more than 30 years, and you can depend on our professional team. Our team is devoted to making sure you achieve the best possible conclusion. 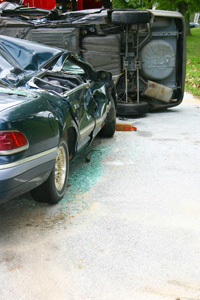 If you have been in an accident, we'll make sure your insurance provider sticks to their word. We recommend that you receive medical attention even if you don't seem hurt and that you call a personal injury lawyer from Curtis Law as soon as you can. When a commercial truck experiences an accident, normal sized vehicles are at a higher threat of injury or death. The majority of wrecks happen due to human mistakes, mechanical breakdown, inebriation or inability to maintain vehicle specifications. Regardless of the reason behind the crash, our legal counsel will find justice for you and your family. It doesn't matter how you make money, accidents happen at work. As an employee, you have certain legal rights that guarantee due compensation. Work-related injuries can cause chronic pain in the head, back and neck, and can also cause loss of or harm to hearing and sight. William H. Curtis will help you accept the short or long term payment that you need and deserve. When you drive a motorcycle, you have access to high-quality protective gear, but there are times when that isn't enough. If a helmet is defective or the power of the crash is bad enough, the defensive gear doesn't have a chance against the road, vehicles or other structures. As a consequence, motorcycle accidents can cause major injuries and fatalities. The law office of William H. Curtis has the required experience to take care of cases that involve extreme or deadly motorcycle accidents. A slip and fall accident can occur in any place at any time. These events can happen at work, at a mall, at a bank or in a parking lot. Most slips and falls result in small injuries like cuts and bruises, but sometimes problems can be detrimental. Catastrophic wounds like head trauma or shattered hips can mean going through life with a permanent or debilitating problem that impacts everyday life. It's important to know that you have rights in these claims. Contact us now and we'll get you the support you need. We know how upsetting it is if you or someone you care about has been injured in a car accident or work incident. William H. Curtis is here to talk with you at a no-charge consultation, and we promise never to force you into anything you don't totally want. Contact the law office of William H. Curtis near Mableton now.